A great night was had on Saturday night with CODE regular, Pfirter. Thanks to all who attended and we hope you had as much fun as we did! Our next party will be on January 18th, 2014 when we will be welcoming REBEKAH, head honcho of Decoy and a recent addition to the CLR crew. 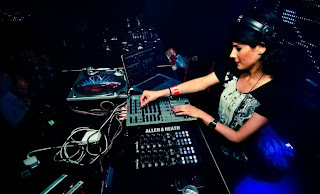 Rebekah will be making her first appearance at CODE and this is sure to be a popular booking because her uncompromising style of techno will be perfect for CODE. Ahead of this, Rebekah will be our guest on our monthly podcast, CODECAST at the beginning of January. All the details will follow over on Facebook and RA.